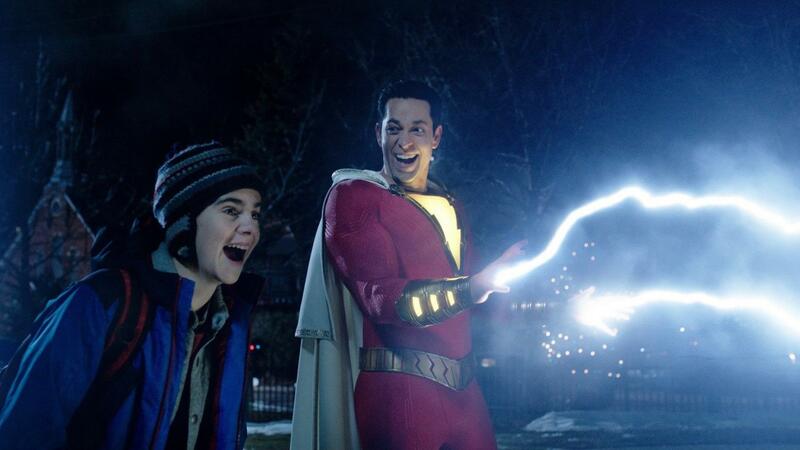 “Shazam!” is one of the most creative, energetic and captivating comic book movies ever made. The best film in the growing DC Extended Universe, the movie finds a rare comedy in its young minded hero, perfectly emulating what every kid would do if they had superpowers. With its big minded hero, “Shazam!” continues to solidify that DC’s biggest strength comes in it’s unique campiness. The film follows street-tough kid Billy Batson, a foster kid who is given powers, to transform into the adult superhero Shazam. Yet, Batson must find the balance in having fun with his new set powers and protecting the world from a mystical threat. Zachary Levi as Shazam and Jack Dylan Grazer as Freddy in Shazam! Image courtesy of Warner Bros. Pictures. Batson is a unique hero where unlike typical heroes, he doesn’t feel burdened by his powers, but rather sees them as a gift. Zachary Levi is able to play off this idea magnificently as he gives a hilarious and heartwarming performance, behaving more as a lovable man child. Levi possess a childlike wonder that is always able to convince the audience that he is the same kid the film began with. Much of this can be attributed to his absurd facial acting that produces hilarious expressions. It’s a weird observation to make but a quality that makes his performance more comedic. Yet one of the biggest revelations about the movie is its surprisingly dark nature in contrast to the extreme lightheartedness. Much of this can be attributed to director David F. Samberg’s history in horror as the film does not shy from cruel deaths or even a few jumpscares. Much of this horror element come from the film’s extremely onenote antagonist in Dr. Sivana. Mark Strong gives a satisfying performance in the role, yet his character is surficial as he pales to gain audience interest. This is especially made clear when the film tries too hard to make him an understandable villain, creating a very abrupt opening that sets up a jagged first 20 minutes. Though more of a writing issue than a performance issue, Sivana is able to fulfil his role in creating an alarming threat for our hero. 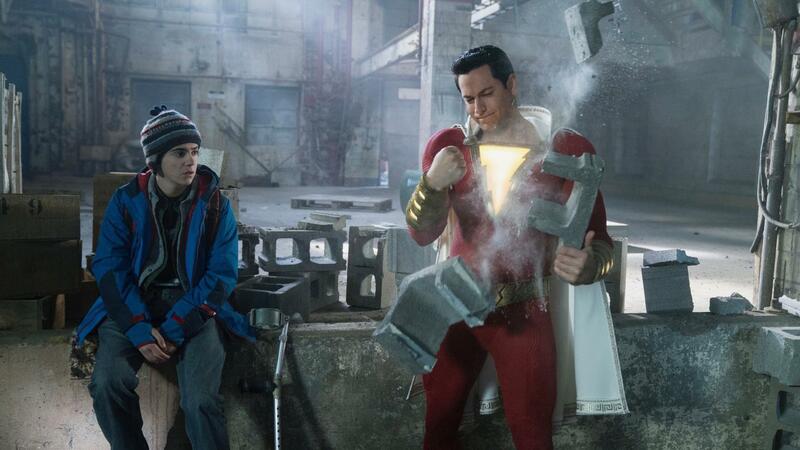 Zachary Levi as Shazam and Jack Dylan Grazer as Freddy in “Shazam!” Image courtesy of Warner Bros. Pictures. But at the heart of the film is a coming of age comedy, with the film deeply exploring the idea of finding your place within a family. The film brilliantly explores the idea of the foster care system by addressing the hardships of it, but also emphasizing that a bond is not only limited through a shared blood. This is especially prudent through Batson’s budding friendship with Freddy as the balances their newfound bond and vigorous disagreements. 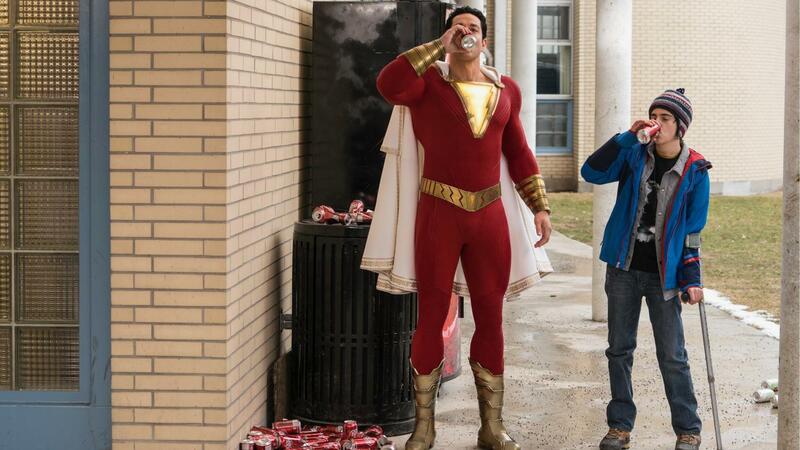 “Shazam!” is DC’s best film in recent memory. It’s a joyful, inspiring and hilarious adventure that brilliantly explores the idea of what a kid with powers would do. Despite a lackluster villain, the film carries a unique dose of comedy that helps it stand out amongst a crowded market. Yet, above all else, the film is fun. It’s a movie that always brings substantial energy that’s able to deliver a great time throughout.